Re-live the great moments from Ashes Series past in our video archive. Australia’s Great Come Back on the last day, in the last session of the second test in Adelaide. At Adelaide, December 1, 2, 3, 4, 5, 2006. Australia won by six wickets. Toss: England. Great Man theory, originally associated with the philosopher Thomas Carlyle, holds that the whole of human history has been determined by a handful of people. 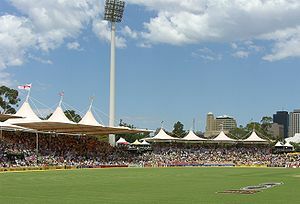 In cricketing terms, it has always been hard to dispute, especially when you’re sitting at Don Bradman’s home ground. For four days and 43 minutes of this Test match, there was plenty of time to think about such matters, and also whether it might be more amusing to spend the final afternoon hiring a pedalo on the River Torrens instead of watching this turgid contest dribble away to its inevitable draw. Then came the Great Man. Shane Warne conjured up perhaps the most astounding victory of even his career. Here was a pitch that, all along, had offered the possibility to a batsman with sufficient stamina and perseverance of staying at the crease until the 2010-11 Ashes. Suddenly the placid earth began to crack and crumble and boil and bubble, as if the San Andreas Fault had opened directly underneath. But the fault was all England’s. In the first innings, they had convinced themselves the Wizard of Oz was no great magician but just a cunning illusionist. Now they thought he could make the earth move. And so he did.